We are pleased to announce the launch of the Golub Center for Finance and Policy’s educational tool on housing finance reform. Proposals for reform have come from both within and outside of government, so GCFP created this interactive tool to enable users to gain an understanding of historical perspective concerning the housing government-sponsored enterprises (GSEs) along with possible paths forward from conservatorship. The tool is not intended to be an exhaustive compilation of all matters relating to housing finance reform but more of a directory of information that can help inform and frame public discourse on the topic. Through it you can find information compiled from a range of reputable sources. The tool is organized around two primary questions: “How did we get here?” and “Where might we go?” The section addressing the first question includes an overview of the definition and purpose of the GSEs. 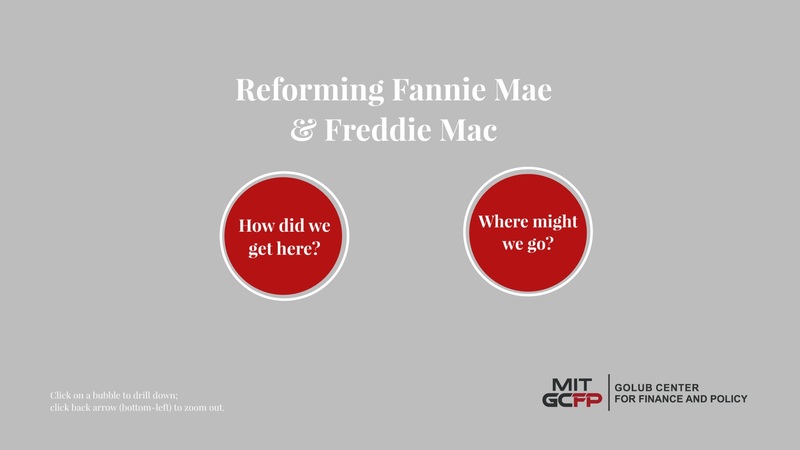 It also features a summarized timeline spanning from the inception of the Federal National Mortgage Association (Fannie Mae) in 1938 through the Financial Institutions Reform, Recovery and Enforcement Act of 1989, through which the GSEs became for-profit corporations owned by private shareholders. Finally, it provides a summary of the events that led up to the financial difficulties of the GSEs in 2008 and the Housing and Economic Recovery Act which placed them into conservatorship. The other, forward-looking section contains information regarding the approaches and proposals that may lead to GSE reform. In general, it includes a summary of alternatives for structuring the secondary mortgage market. In particular, it looks at proposals from the Congress, the Executive Branch (both current and past administrations), think tanks, and industry groups. We have highlighted what each plan proposes to do in terms of structure and oversight, winding down the GSEs, affordable housing, Qualified Mortgage rules, and taxpayer risk, capital and/or securitization. Congressional Proposals – This section presents pending proposals in either the House of Representatives or Senate that address key aspects of regulatory reform, namely the Corker-Warner/Johnson-Crapo proposal, the PATH Act, and the Bipartisan Housing Finance Reform Act. Executive Branch – This section presents three proposals from the Executive Branch. One is from the Federal Housing Finance Agency and essentially represents the status quo. Another is based on recommendations made in a 2011 report to Congress by the Obama Administration Departments of the Treasury and Housing and Urban Development. The third proposal is from the Trump Administration’s government reform and reorganization plan released in June 2018. The last two proposals advocate for significant policy changes. 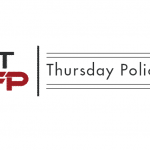 Think Tanks – This section presents proposals from the Bipartisan Policy Center, Heritage Foundation, Milken Institute, and Urban Institute. Industry Perspectives – This section includes proposals from the Mortgage Bankers Association, the national association representing the real estate finance industry. In developing this tool, GCFP is seeking to enhance official and public understanding of some of the key issues being discussed in the context of housing finance reform. We hope you find it to be of use. If you have suggestions for further development of the tool, feel free to contact us.